Welcome to 2010! Now that we’re in a new year, it seems appropriate, and completely traditional, to ring it in with some new year resolutions. A new year brings the sense of a new beginning, while also prompting us to look back at the past. It is a natural thing to reflect on the changes we’d like to see in our lives and set some new goals (which we are always encouraging at Lifebushido!). Ever wondered what the top 10 resolutions are for many of us? While we typically have no shortage of resolutions, the problem is keeping them. Here are a few tips to help you with following through on your new year resolutions. Be realistic - instead of saying you will lose 30 pounds by April, plan to achieve a more attainable goal, like 10 or 15 pounds. If you end up losing 30, then you’ll be pleasantly surprised. Don’t overload yourself - it can be difficult to make big changes (after all, that is what resolutions are), especially if you are trying to make more than one at the same time. Instead, prioritize your resolutions and attempt tackling one at a time - starting with the one you deem most important. 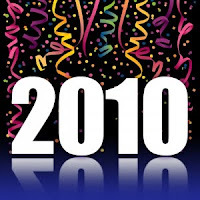 By the time 2011 rolls around, you may have kept yourself busy the entire year, too! Give yourself some accountability - many of us keep our resolutions to ourselves, but when we tell others in our lives, they are more likely to hold us accountable and cheer us on when we otherwise might give up. And, if you need it, ask for help in achieving your goals - there’s no shame in that. Reward yourself - if you’ve ever set and failed to achieve a new year’s resolution before, you know how hard it can be, so give yourself credit for meeting your goals. If you resolve to spend less, reward yourself with a cappuccino if you’re able to avoid buying that high ticket item you’ve been eyeing. If you resolve to quit complaining, reward yourself with a massage after a week of practicing gratitude. Set a goal for your start date - sometimes the change of seasons is an easier time of year for new goals, instead of using the calendar. When springtime comes by May 1, the change in season will prompt you to make the change(s) you’re hoping to see in yourself.